Don't you hate it when you keep losing at the Vegas slots? Well, suffer no more! Introducing the foolproof step-by-step guide to instantly winning at any slot machine! Ah... Not really. But this project is still interesting. I acquired a slot machine over the summer of 2016 and naturally wanted to mess with it. 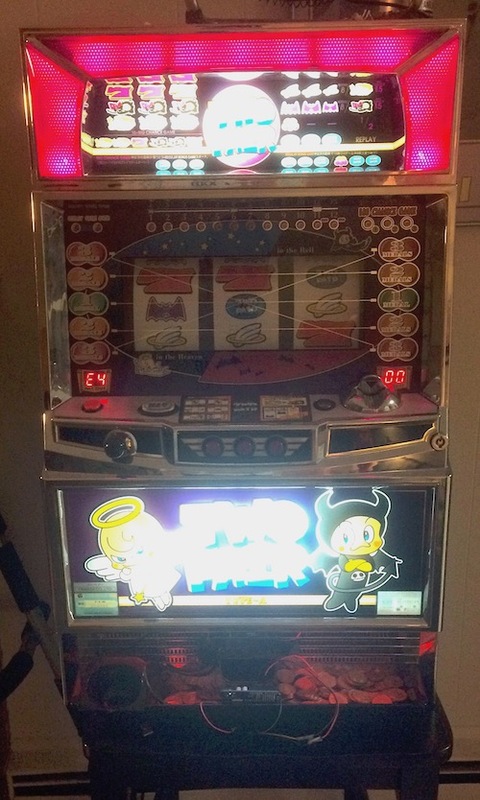 This slot machine is called a “Pachislo machine” and is found in Japanese game parlors. The machine makes typical noises when you put coins in and play the game, but I wanted to change it up and play my own noises. I disconnected the wires feeding into the speakers and instead plugged them into an Arduino micro-controller. After some fiddling around, I found the normal voltage levels sent through the wires when a sound is supposed to play. Then an Arduino program sends its own sequence of frequencies to the speakers once it detects that a sound is supposed to be playing. 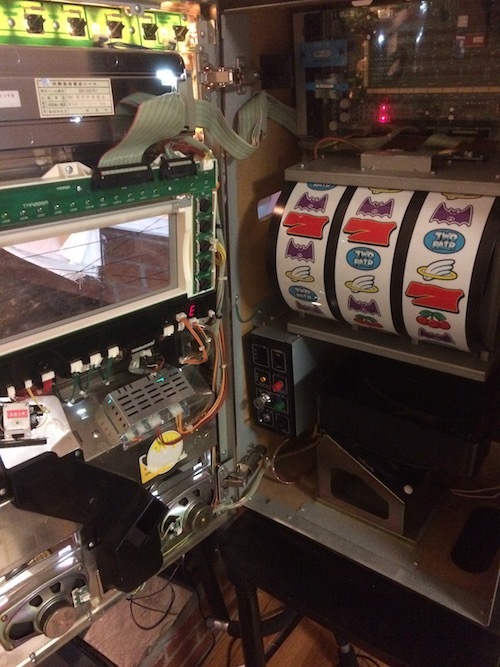 Now the slot machine will randomly play the McDonald’s jingle, a fiddle jig, or that catchy Chinese tune whenever a sound is supposed to happen. The Arduino script is linked here.